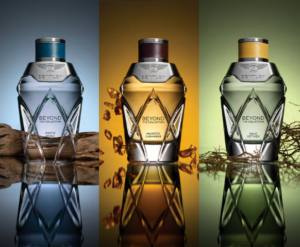 Bentley Beyond the New Fragrance Collection – Beyond trends, Beyond frontiers, Beyond time… Liquid emotion. – Art, Food, Travel and Fashion! The bottle features two Bentley icons: the famous knurling on the stopper and the legendary “flying B” perching proudly on its top. 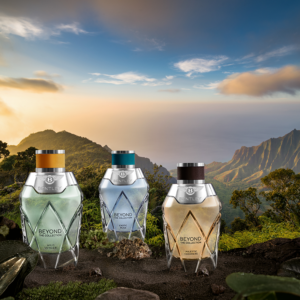 Exotic Musk: A silky haze of musk evokes the sensuality of Acapulco nights. The rich, sunset glow of amber woods enhances the lustre of a fragrant black pearl: the tonka bean. Majestic Cashmere: A glittering embroidery of powdery orris absolute and ambrette, a vegetal musk drawn from hibiscus seeds, offsets the smoothness of the fragrance’s main note, Cashmere wood, with its facets of musk and amber. Wild Vetiver: Extracted from the roots of a bush that grows wild in Indonesia, vetiver essence is so rich it is a perfume in itself, its citrusy facets are enhanced by top notes of bergamot and pepper, while verbena adds its green, anise-based sweetness to its rounded, nut-like nuances. ← It is time for beauty to evolve – organic and eco-friendly!